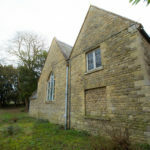 The grant will be used to purchase and restore the Old School in Old Wolverton creating a community café, learning space for local students, community space for hire and guest house for visitors. Students from the nearby Slated Row School, who are drawn from all across Milton Keynes, will have the chance to integrate themselves into the local community through their involvement with the Old School. With a steadily increasing population in Wolverton, the Old School will provide a space for long term residents to socialise with new residents and allow community groups to flourish. The Old School will give students with special educational needs an opportunity to gain employment experience and learn valuable life skills that may otherwise been difficult to acquire. Wolverton is one of the oldest communities in the New town of Milton Keynes. Over the last five years, 2000 new people have moved into the area. 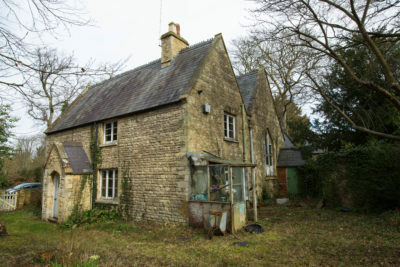 However, there are few facilities for local residents, especially after the closure of the Old School House in 2005. Local people have come together to try and bring the building back into use and with the support of Future Wolverton, a Community Benefit Society that has operated in the area for over 10 years, have developed a plan to make the building a sustainable community business. Refurbishing the Old School will provide a hub for the community of Old Wolverton once again. 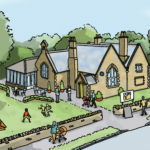 With the help of a £475,000 Power to Change grant, Future Wolverton have purchased the Grade II listed Old School, so it can function as a café, provide community space for hire and a cafe run by students at Slated Row School. Additionally, an attached residential property will be turned into a Guest house for visitors, with three rooms to hire and a shared kitchen/living space.The Guest House will provide students with an opportunity to acquire independent living skills, as well as providing a much needed resource to people who work in Milton Keynes during the week. “We are thrilled that Power to Change has trusted us with a grant that will make the Old School Project a reality. The project is complex but sure to have a very positive impact in the community, especially for the young people of Slated Row School as they will be able to transition into the work world while the Wolverton community benefits from their talent. Power to Change has a key role in making this possible and their support is invaluable to Future Wolverton. We can’t wait to get started!” said Marie Osborne, Director of Future Wolverton Limited. The facilities will be run in conjunction with staff and students from Slated Row School. Working in the Old School will eventually provide more than 150 students with experience needed to acquire future employment, as well as involving them in the local community. 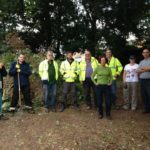 Future Wolverton is a Community Benefit Society, run and owned by its members, who are people who live and work in Wolverton. It costs only £1 to join and members have a say in what projects Future Wolverton takes on. 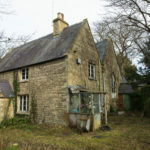 Board members are residents of the local community and are elected at an Annual General Meeting for association members, making the organisation and its planning of the Old School House accountable to the local community. Furthermore, four individuals are nominated to the board by representative organisations – Wolverton Town Council, The Radcliffe Community of Schools, Churches Together in Wolverton, and Wolverton Society for Arts & Heritage.